Today's So Shoe Me is the Boucle Sneaker by Superga, $80, available at Revolve Clothing. 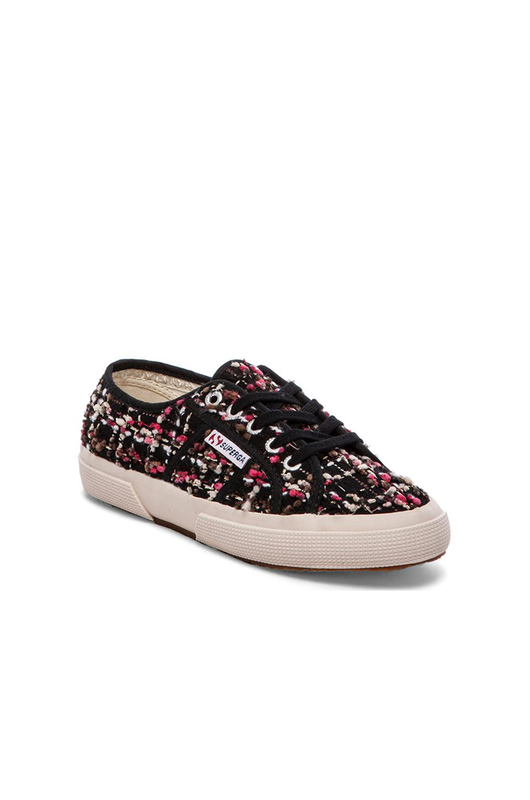 Be a boucle babe this fall with these tough textured sneakers by Superga. This platform sneaker with a twist is the perfect way to update your fall style while still sticking true to the basics. The red, black and tan boucle adds an on trend plaid pattern and the low top shape is ready to slip-on for daily wear. Pair these Superga sneakers with a comfy sweatshirt and distressed jeans for a weekend ready look. So Shoe Me a pair of bold boucle sneakers that will add a touch of texture to my everyday style. Come and take Animated Gifs Free Images: flowers, nature, christmas, new year, thanksgiving, halloween, wallpapers, cursors, landscapes, animals, waterfalls, streams, fish aquariums, people, cars, sports, religion, sports, birds, butterflies, romantic, money ... very nice blogs. Enjoy!